Sorry, this unit has been discontinued and has been replaced by the new AP325. You can also purchase available renewals below. End of Life for the AP320 is 1 Oct 2019 - you will not be able receive support after this date even with a 1 Year contract. With the WatchGuard Wi-Fi Cloud, IT pros can enjoy an entirely controller-less Wi-Fi management experience including setup, configuration, monitoring, troubleshooting, and improving corporate and guest Wi-Fi access, without worrying about the limitations of legacy controller infrastructure. Wi-Fi Cloud environments easily scale from one to an unlimited number of APs across multiple locations. APs can be grouped in many ways including location, building, floor, and customer to maintain consistent policies. 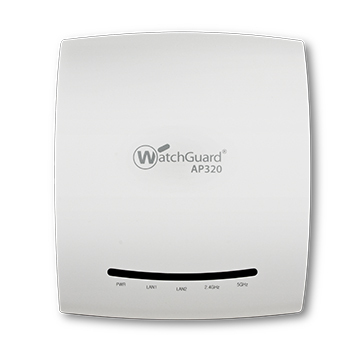 WatchGuard APs come standard with RF optimization, spectrum monitoring, and trouble-shooting built in, which is vastly more reliable than competing solutions that rely on a connection to a management cloud. Incorporating the latest 802.11ac standards, you'll have speeds of up to 1.3 Gbps over the air, without sacrificing security. The WatchGuard Wi-Fi Cloud delivers unprecedented visibility into every corner of your wireless environment, and beyond. Customizable dashboards and alerts provide a comprehensive overview and the ability to drill down for a more granular view. 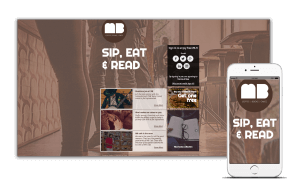 Business owners, now more than ever, need to leverage technology to get the most bang from their marketing budgets and have concrete data around site metrics like footfall, dwell time, and conversion to drive business decisions. 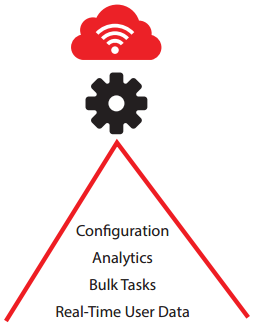 Don't waste money on three separate products (for Wi-Fi access, splash pages, analytics), when WatchGuard's Wi-Fi Cloud gives you all three in one interface for all the business metrics you need to make the best decisions to grow. Patented Wireless Intrusion Prevention System (WIPS) for stopping Wi-Fl attacks that steal passwords, credit cards, etc. Location based analytics: footfall, dwell time, conversion, etc. 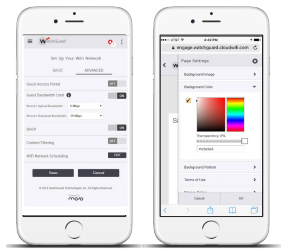 Model Name, Description Built for networks with heavy smartphone and tablet access such as guest or public Wi-Fi environments, or smaller-footprint locations that support limited devices. If you have a branch oﬃce, store or a small classroom, this is a solution for you. Perfect for busy environments with diverse client ecosystem and Wi-Fi requirements. This high-horsepower access point can support critical applications like voice, video, and cloud with ease. If you need Wi-Fi for an oﬃce, classroom or a meeting space, this is a solution for you. Features a rugged IP67 compliant exterior and delivering broad, fast, and reliable Wi-Fi coverage, this access point brings Wi-Fi to stadiums, schools, outdoor cafes, shipping docks, warehouses, and more. If you need Wi-Fi for the outdoors, this is a solution for you. You can manage all of WatchGuard’s access points with either a Firebox® via the Gateway Wireless Controller or with the Wi-Fi Cloud. 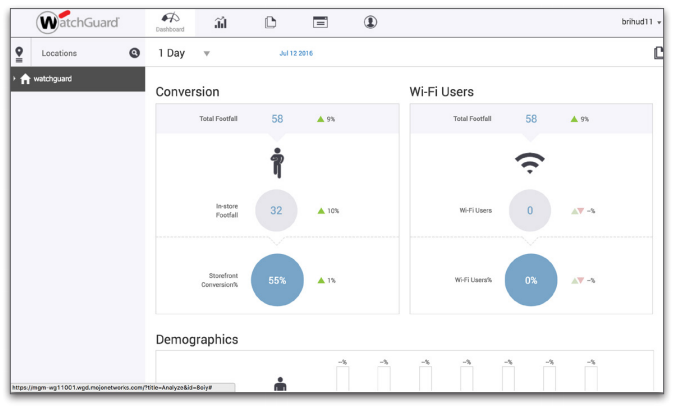 And, with Wi-Fi Cloud you get an expanded set of features including strong WIPS security, social network enabled captive portals, marketing tools, and location-based analytics for optimal business insights. 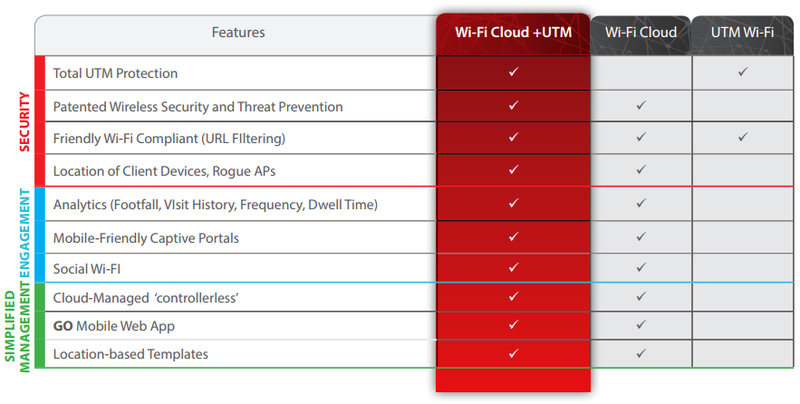 Download the WatchGuard Wireless Access Point Comparision Guide (PDF).